WINTERVILLE—A local beverage distribution company’s generosity is benefitting students in Pitt Community College’s Air Conditioning, Heating and Refrigeration Technology program and will soon support HVAC programs at nearby community colleges as well. In February, Farmville’s Coastal Beverage Company, Inc., donated 30 glass door merchandiser displays, the kind retail stores use to keep drinks cold. 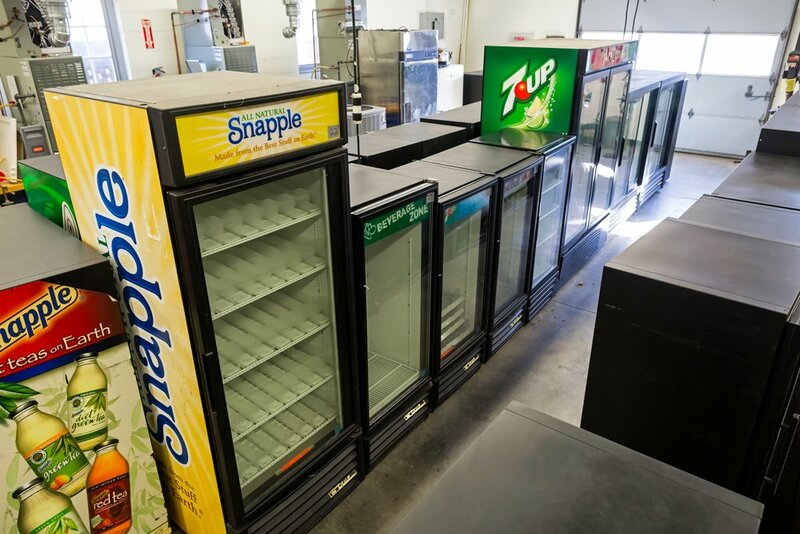 Amanda Ordnung, brand manager for Coastal Beverage, said the company had a surplus of cooler displays and decided to offer them to PCC after it was suggested by an employee who attended the college’s HVAC program. PCC HVAC Department Chair Keith Drury says the merchandisers have greatly expanded his program’s ability to offer students hands-on training opportunities with various commercial refrigeration equipment. Drury says he has contacted several community colleges in the area to offer them merchandiser displays for training, and the response has been positive. Established in 1960, Coastal Beverage Company services more than 5,000 customers in 38 eastern North Carolina counties. In addition to the one in Farmville, the company has distribution facilities in Elizabeth City, Pollocksville and Wilmington.